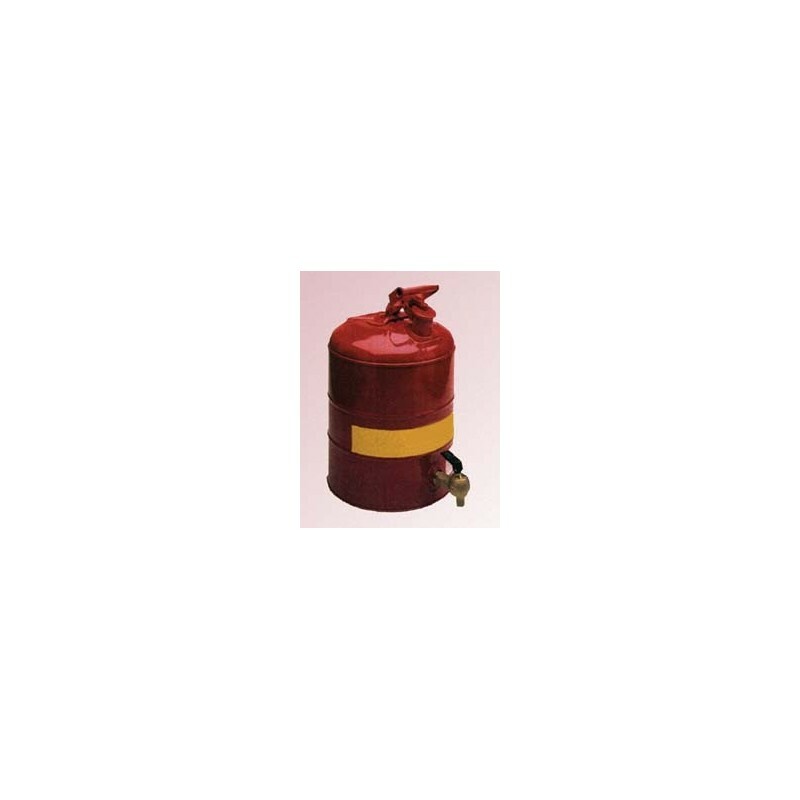 These 5 gallon SOLVENT DISPENSING CANS WITH FAUCETS are the choice of lab professionals for safe dispensing of hazardous liquids into test tubes, small flasks and beakers. Both cans feature bottom-mounted faucets and are designed for shelf use, to eliminate the need to lift the cans during dispensing. J112-015 is constructed with premium coated steel. The smaller, laboratory fill spout has a self-close pressure relief cap and stainless steel flame arrester. This can also features a vacuum relief valve within the lid for smooth liquid flow. Can dimensions (Outer Diameter x Height): 113/4" x 167/8"
J112-016 is made of Stainless Steel. The drip-free Stainless ECO Faucet with Neoprene Gasket is laboratory style and is designed to dispense into small capacity vessels. 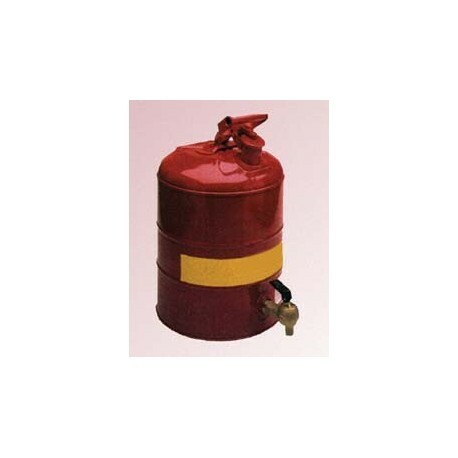 Can Dimensions: 111/4" x 157/8"
Both cans are FM approved.